Delivery 3 bouquets of 11 mini-roses during 3 months one by one! | , Ukraine florists and special offers. Imagine the delight of receiving one by one the freshest flowers during the next 3 month. You need to choose the dates of delivery and colour of roses for each month. 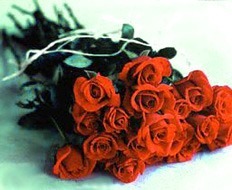 And next 3 months we will deliver 3 bouquet of 11 mini-roses one by one. One order and 3 months of joy! The Best Ukraine florists and couriers have been working for you since 1999. Stay with us!